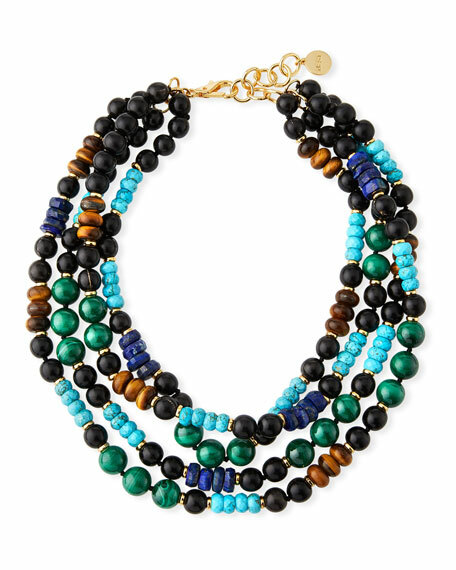 NEST Jewelry multi-strand beaded necklace. Four strands with mixed stone beads. 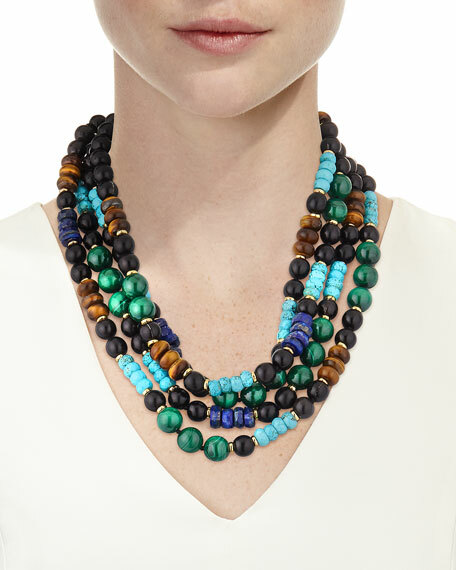 Malachite, lapis, turquoise, tiger's eye and horn. Approx. 19"L; 3"L extender chain.